Simultaneously monitor and display up to fi ve atmospheric hazards with the GasAlertMicro 5 Series. 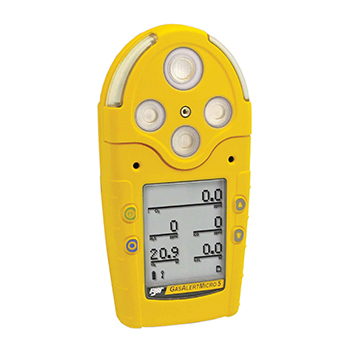 Adaptable to a variety of applications, the GasAlertMicro 5 Series has an extensive selection of user-settable fi eld options and is available as either a standard toxic gas model, a PID model for the detection VOCs, or an IR model for CO2 detection. Use the passcode function to prevent unauthorized modifi cations of the instrument’s settings. Compatible with BW’s MicroDock II automatic test and calibration system, the GasAlertMicro 5 Series is unparalleled in its versatility, performance and overall value.